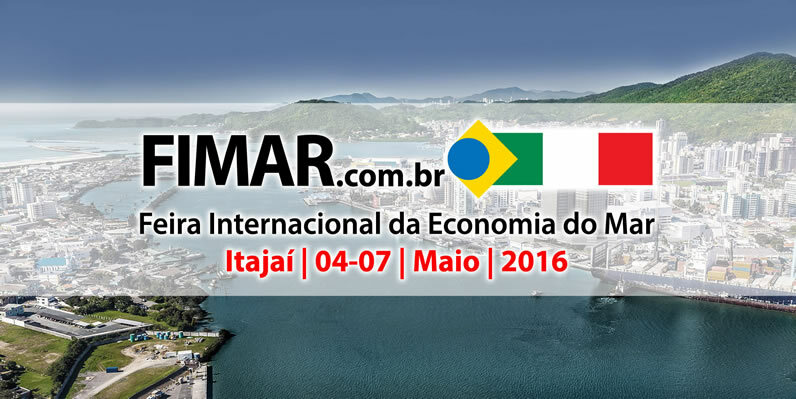 FIMAR is the first International Fair specializing in the promotion and incentive to the development of Economy of Brazil-Italy Sea. The second edition will be made to Centreventos, in Itajaí, 4 to 7 May 2016, where it is already the case of the Volvo Ocean Race. The FIMAR is a result of the agreements signed between the Italian Government, through the Ministry of Economic Development Italian, Ucina and the Santa Catarina Government, with the support of GTT Nautico SC (working group composed of the municipalities and the State Government for the development local water). The event conceived and promoted by BRAZILPLANET and organized locally by Projecta Eventos, in collaboration with UCINA, ASSONAUTICA ITALIAN, Federpesca and ACATMAR Associazione Nautica Santa Catarina in Brazil. The Italian participation is assisted by AGENCY ICE, an "Italian" point, a place of welcome and information for operators and visitors, demonstrating the important role played by the Italian boating on the world stage. For the 2016 edition will be a new partner is added: ANRC (Association Nautica Regional Bell).